Help : The security architecture prevents you from adding client specific modifications/customizations to existing standard workflows. 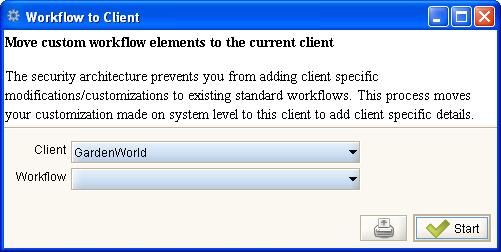 This process moves your customization made on system level to this client to add client specific details. This page was last modified on 14 December 2006, at 12:32.